How Soon Are Wills Executed After a Death? Executing a will, or carrying out the instructions in its text, can begin as soon as the will is filed with the probate court. The will may be filed as soon as the testator, who wrote the will, has passed away. It is often in the beneficiaries' best interests to file the will as soon as possible, as probate may take several months. To begin executing a will, file it with the probate court. Usually, a will is filed with the probate court in the county where the will's owner has died or the county in which he last lived. Some states do not have separate probate courts, but your local telephone directory should provide numbers for your court so you can determine the proper place to file the will. Filing the will as soon as reasonably possible after the testator's death has two advantages: it sets the probate process in motion more quickly, and it ensures probate begins long before any state deadlines. Anyone who has possession of the will may file it with the probate court. Often, the executor of the estate will file the will, because the executor will work closely with the probate court throughout the process and is also responsible for executing the will's instructions. Most states also have laws that require someone with a deceased person's will to file it with the court. These states allow an executor or beneficiary to force the person in possession of the will to file it if necessary. The beneficiaries listed in the will receive their share of the estate's assets at the end of the probate process. Before the beneficiaries can receive their share, an inventory must be made of the assets and the estate's bills paid. The executor is usually responsible for carrying out both duties. Most states require the executor to complete the inventory within a few weeks or months after probate begins. State laws also require executors to give creditors a certain number of days after they receive notice of probate to send in their bills. Once these deadlines have passed and the inventory and bill-paying are complete, the executor may begin distributing the remaining assets to the beneficiaries according to the instructions in the will. The length of the probate process depends on a number of factors. These include how large the estate is, how many bills must be paid, and whether anyone files a lawsuit contesting the will in court. Because the executor must wait for certain periods of time required by law, even short probate processes may take several months. If the estate is very large or a will contest is filed, probate may last a year or more. The instructions in the will leaving assets to certain beneficiaries cannot be executed until all other issues relating to the estate are settled. 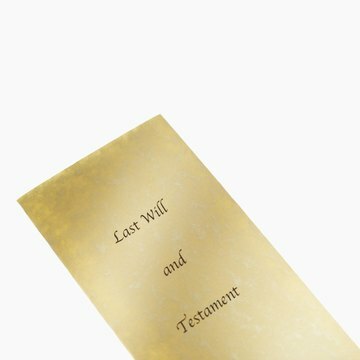 When Should Wills Be Filed After Death? D.C. Courts: Do You Need a Will to Open an Estate? Franklin County, Ohio: How Long Does it Take to Probate an Estate? Bernalillo County, New Mexico: How Long for Probate? The average time required for the probate process depends on everything going smoothly -- if there are any complications, the time frame can increase significantly. In Massachusetts, probate is usually completed within a year of the date of the testator’s death, though most of the work is generally accomplished within the first nine months. However, complex estates can take up to two and a half years or longer. Several factors are involved, each with their own deadlines. How Many Years After Death Do You Have to File a Will?